This Tutorial describes how to create a "bloom" effect. 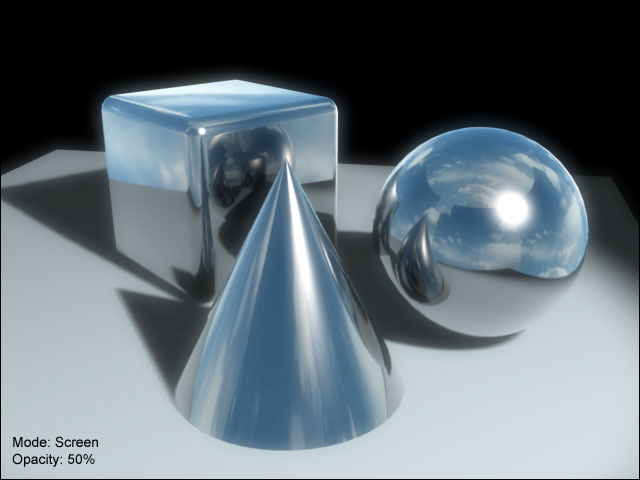 A bloom effect makes the image look brighter and have a "hazy" look to it (see image on the right). The left side (after the bloom effect) has a hazy look to it. OK, let's start. Load you original image and copy the "Background" Layer. 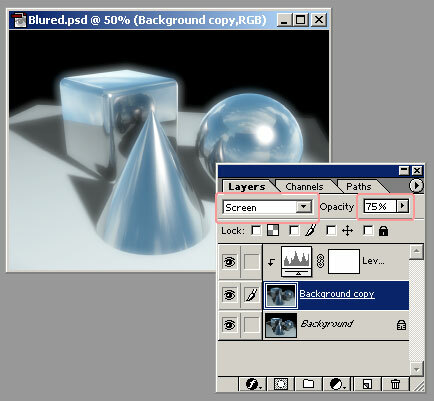 In Photoshop, to copy a layer you can drag it on the "New Layer" icon (as shown above). Blur the copy you created. I'm usually using Gaussian Blur with large values. In this example the image's size is 640x480 so a Gaussian blur value of 7.5 is enough. For larger images you might need a larger value. Brighten the blurred image, and reduce the contrast. I usually use levels rather than brightness/contrast because I think it gives you more control. In Photoshop 5.5 and up you can create an adjustment layer (the half black half white circle icon). The advantage of using an adjustment layer is that you can alway modify it's values (by double clicking the layer's icon). Group the adjustment layer to the blurred layer, so that the levels affects only that layer. You group layers this way: while pressing the Alt key, point the mouse to the line between two layers, when the pointer changes to , click to group these two layers. 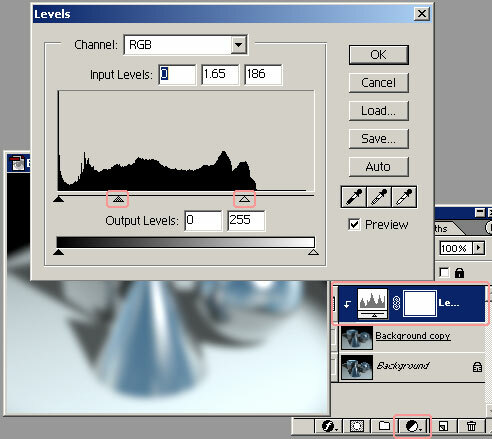 If your application doesn't have such a feature, just apply regular Levels filter to the layer. To brighten using levels, move the right most triangle (under the graph) to the left. To change contrast move the middle triangle (move left=less contrast). The key to the bloom effect lays in the blending mode of the layer. You can use Screen, Overlay, Soft Light or Hard Light. Each of these will give a slightly different result (see below some examples). To control the amount of the effect use the blurred layer's opacity. Try experimenting with different combinations of blending modes and opacities until you get the desired result. 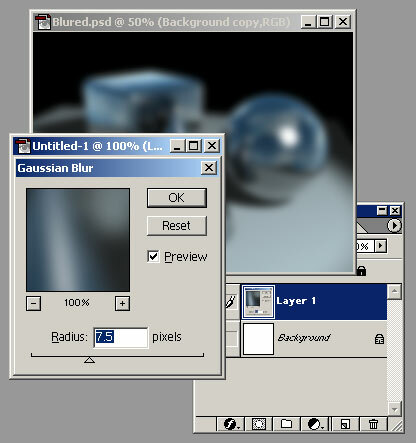 Change the blending mode and opacity of the blurred layer. That's it. As I mentioned before, you can use the same technique in After Effects to create the effect for a clip or animation. You can see below some examples of results with different blending modes and opacities. I hope you found this tutorial useful, feel free to send me any comments to: ofer_z@hotmail.com.